Beaded Sandals: Colorful beads lend a free-spirited feel to cutout leather. Shop this and other beaded sandals here. Coin Necklace: It provides intricate etching and lends a timeless look to your beach style. Shop this and other coin necklaces here. Cross-body bag: Intricate patterning, pom-poms accents, tassels and shells! I mean this just screams beach time. Shop some amazing Star Mela handbags perfect for the beach! Hat attack: A hat is a must for your beach days. It'great to protect that beautiful face from burning and it just adds an extra touch to your look. You have to check out Hat Attack's range of hats. One cuter than the other! 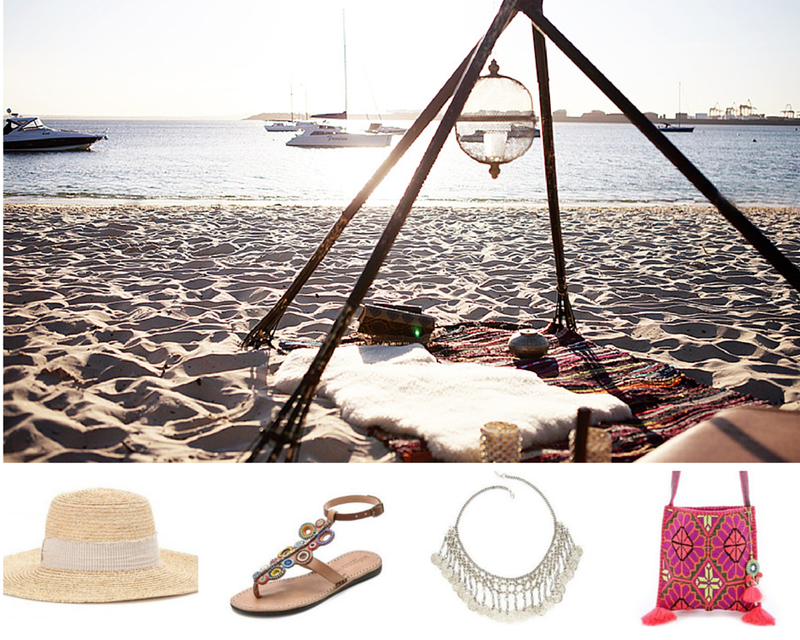 For more great ideas, you can also shop all the other items you can wear on the beach here and they are all under $200!